Just a short distance from Crested Butte, the East River is a perfect spot for fishing, hiking or enjoying a picnic. 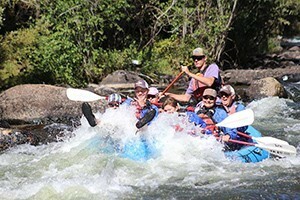 Three Rivers Outfitting offers the most experienced guides in the valley for rafting, fishing and kayaking! Book now for the best packages that include lodging & activities. 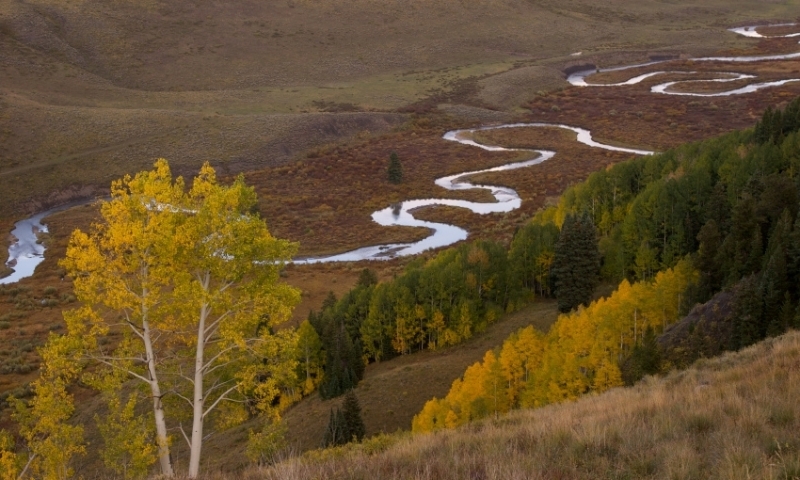 The East River is a tributary of the Gunnison River that flows south from Emerald Lake, which is located north of Crested Butte along Gothic Road. Excellent fishing can be found along the East River. The East River Valley is a beautiful spot for hiking, driving and relaxing. The East River is a scenic river that runs south from Emerald Lake, through Gothic and past Crested Butte on its way to join with the Taylor River in Altmont, where they combine to form the Gunnison River. The entire 35 miles of the East River offer spectacular scenery for hiking and picnicking, as well as excellent fishing. Like the Gunnison and Taylor Rivers, the East River has many stretches of excellent fishing, as well as picturesque scenery along its entire 35-mile length. Don't tell anyone about the East River. Let everyone hit the Gunnison and Taylor while you and I enjoy elbow room and browns running 12 to 18 inches. This fishy-looking river looks more like a creek, but deep pools, undercut banks and a ton of fish mean you're in for quick action. Where to Fish: Some areas of note include the stretch below the Roaring Judy Hatchery and where the East River joins with the Taylor, along Cement Creek (which feeds into the East River) and up Ohio Creek, which has a number of beaver ponds. Local guide services can also help you find the best fishing spots at any given time. Species: Kokanee are raised in the Roaring Judy Hatchery. Each April minnows are released into the river and they run through the system until they reach Blue Mesa. The browns know this and eat their fill. Throw a streamer in April and who knows you might catch something special. The East fishes well on streamers all summer as well. Try an olive Zonker or an Umpqua Stanley Streamer. Fishing Season: The East is victim to blowouts in May or so, but action can be good from April through November. The aggressive browns will hit dries like hoppers in the summer and follow that up with egg patterns and streamers in the fall. Just upstream of Altmont, the Roaring Judy Fish Hatchery raises Kokanee Salmon and a variety of trout, all of which are used to stock nearby reservoirs. Tours of the Hatchery are available, and the stretch of water just below the Roaring Judy Hatchery is designated Wild Trout Stream. For more information about the Roaring Judy Fish Hatchery, call 970-641-0190. While the section of the East River between Gothic Bridge and Stupid Falls is navigable via rafts and kayak, it is considered Class IV water and other sections of the East River are not runnable. Be sure to check with a local shop or guide service about water levels and the current state of the river before going. The upper stretch of the East River flows through the East River Valley, north of Crested Butte. This mountain valley is rife with wildflowers and meadows, perfect for hiking or laying out a blanket for an afternoon lunch in the sun. The East River is completely undammed, so the water levels and flow vary with snowpack and snowmelt. Check with a local shop or guide service for current information. The East River begins at Emerald Lake, north of Crested Butte between Gothic and Schofield Pass. From there, it flows south until it joins with the Taylor River in Altmont and forms the Gunnison River.